Thank you for writing this! My oldest daughter has dealt with clinical depression (which led into a two year struggle with an eating disorder) since seventh grade. Too many people in my town judge others and, because my oldest doesn't play the game by trying to be cookie cutter, she is often on the receiving end of nasty comments (from both peers AND adults)! I guess the "silver lining" for her and our whole family is that we do try to accept others (especially kids) for who they are with whatever special challenges they may have. People are always posting on social media about the "silent" diseases (Lupus, MS - which I have, CFS, etc) and how looks can be deceiving so don't judge. Isn't even more important to carry this concept over to children? TrayceeBee - I'm so glad. It's been nagging me a long time, but I wanted to say it the right way, so people could hear the message. It's so important to carry this message over to children. This is nicely written. Yes, we need to have each other's backs for often and give people the benefit of the doubt - especially children. Thanks for writing this! Stopping by from Crafty Allie. This is heartfelt and excellently written. It's so important to be aware that we can never know the struggles of others outside of our own families and possibly our closest friends. There is always something we can do to ease someone's burdens and bless them and, above all, avoid judging. Thank you for sharing your insight. Thank you for sharing your personal story and the ups and downs of parenting. Glad you could link up with us at #WednesdaysWisdom. I especially like your point that parents are the experts regarding their kids. The world of experts -- in education, medicine, and social services -- presumes that letters after the name and a job title are all that is needed to pronounce judgment upon another human being, but you are so right -- the parent who lives with the child, who LOVES the child (this one is crucial -- not matter how smart an expert, he or she can't possibly have the commitment that love brings), who knows the child's daily life, is the very best expert. And yet this expert is generally delegated to the back room, and told to just write out the check. Good article, with good commonsense. Thanks so much for sharing at My Flagstaff Home! I love this. People are so quick to make assumptions and it rarely helps anybody! If we all keep it in mind that every one of us is unique, life would go so much more smoothly! Thank you for sharing over a the Country Fair Blog Party. Very well stated and something we all need to think about and remember. YES! Thank you for sharing this with the #SmallVictoriesSundayLinkup! 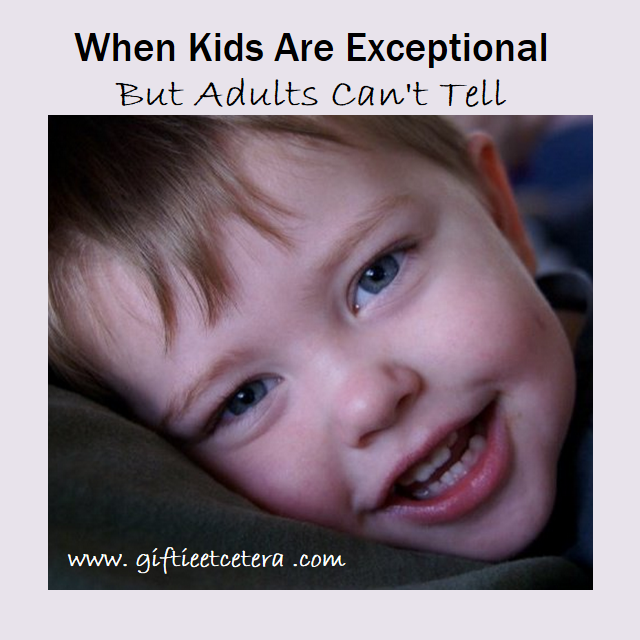 As a mom to a very exceptional boy, I have struggled with a lot this. I love the idea of acknowledging needs instead of dismissing these traits as unnecessary quirks. I have a lot of "quirks" and so do my kids and I'm sensitive to theirs because I know what it feels like when they're set aside. Thank you so much for sharing this at #mommymeetupmondays. I'm your neighbor at Pat and Candy's this morning. May I invite joy to share our words each Friday in the DanceWithJesus linkup at SusanBMead.com/blog? Your words would bless someone else there!